an agenda of common concerns and soon find themselves in a highly interactive, supportive learning community. The groups meet for six months, with options for continuing with or without new members. It’s cost effective. Group coaching is more affordable than private, individual coaching for many people. in the world where you can access long-distance service. team and organizational best practices for mutual benefit. genius can represent decades of professional and personal experience. connected to a community, and ready to take action. my direct reports, I’ve seen her grow exponentially! to share best practices for mutual benefit. 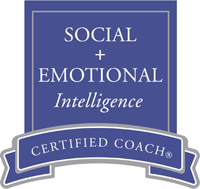 Group coaching for individuals and teams within the same organization. Are you wrestling with any of the following issues? Call or email us to join an affinity group or create a custom designed in-house group.